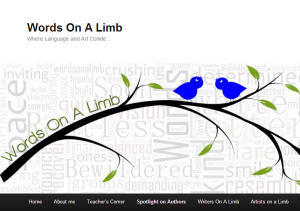 Thank you, Lora and Mauricio of Words on a Limb for interviewing me for your Spotlight on Authors. Thank you also for your diligent research – an unexpected result of this interview being it finally nudged me into the world of Twitter! At the bottom of the Words on a Limb interview, I was surprised to find images I’d never seen before of me hanging out with kids in St. John’s, Newfoundland and Eramosa, Ontario. Being far too curious to let that happen. I had to discover what what else I would find out about myself, if I finally activated that account and got Twitterpated! The interview and the “bonus images” can be found here!